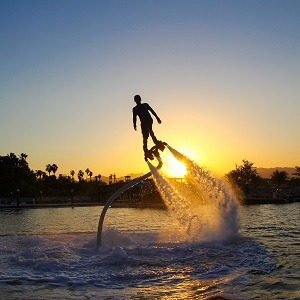 FlyBoarding in Cabo is a real treat and one of the TOP things to do in Cabo. 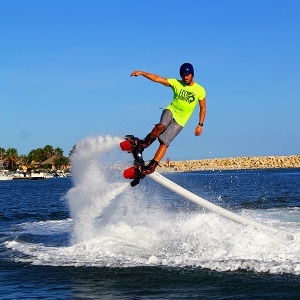 Private, personal and professional hydro flight lessons inside the exclusive and uncrowded marina at Puerto Los Cabos are designed to have an exciting jet pack experience. 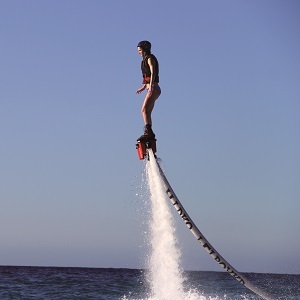 Your trainer will take you step by step to learn how easy it really is to use a flyboard and surf the sky in paradise! 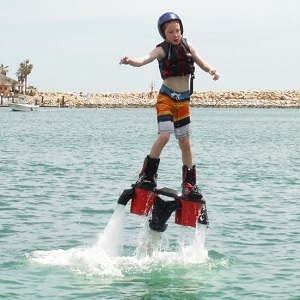 San Jose del Cabo flyboard service is an outdoor activity suitable for all ages and abilities, from complete beginners to those who have tried it before and wish to master the surfing jetpack. You will not believe how much fun it is! 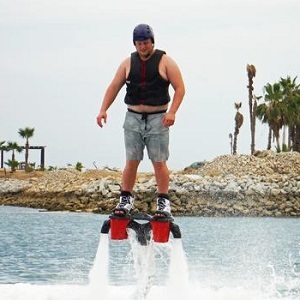 Hydro Flight lessons include the flyboard rental, as well as specialized gear and one on one tutoring. 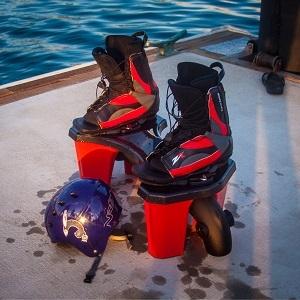 Based on experience; our planed basic flyboard lessons included in the price a 30 minutes of briefing and setup + 30 effective minutes on the fly board. Just the right amount of time to learn how to take off, fly and try some tricks, without rushing (focused on Quality). 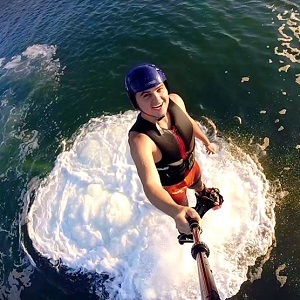 We offer additional HD GoPro recording to take your flyboard video home to share. Dates: Please check availability using our booking botton or call. Internationally certified trainers, 100% bilingual. Flight guaranteed your first day or your money back. We are located 5 minutes from the historic downtown of San Jose del Cabo, 25 minutes away from International SJD airport and 35 minutes away from Cabo San Lucas. What to Bring: Towel, swimwear, ID. Wetsuit. Booking terms and conditions apply and rebooking fees are charged for cancellations made with less than 24 hours. Group discounts apply over 4 guests.